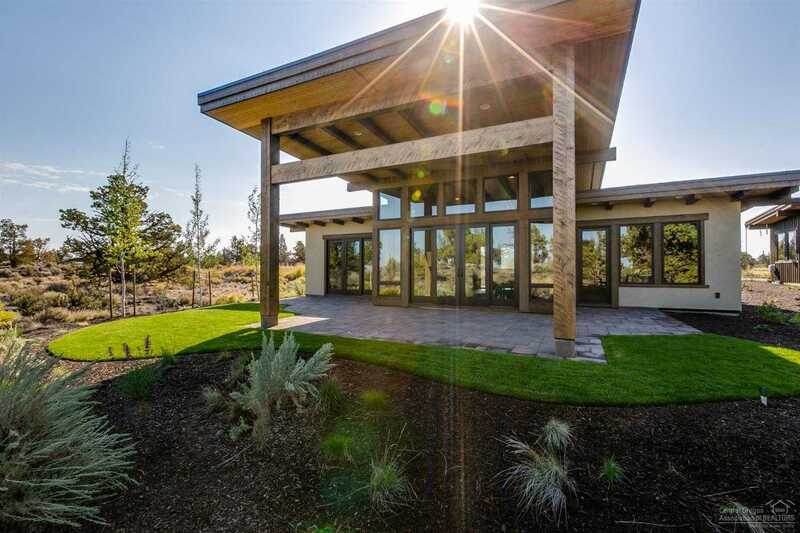 This new contemporary home in Four Peaks takes in views of the Cascades & Mt Jefferson across the private Fazio course 18th fairway.It’s currently move in ready. Walk to all the amenities Pronghorn has to offer; Pools, Nicklaus and Fazio golf courses, Club House, Spa, Restaurants, Tennis and more. Photos represent completed model home that can be viewed at Pronghorn sales office. You can also make this a vacation rental.Price includes a full Pronghorn Premier Club Membership. Please, send me more information on this property: MLS# 201701078 – $899,000 – 22956 Ghost Tree Lane, Bend, OR 97701. I would like to schedule a private showing for this property: MLS# 201701078 – $899,000 – 22956 Ghost Tree Lane, Bend, OR 97701.